8) NEW! 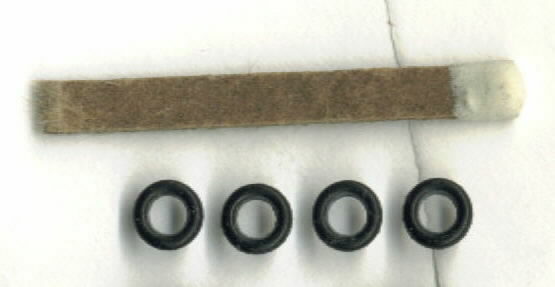 O-ring kits for the '80 - '82 GS450 twins HERE. Be sure to visit page 5. There's some important information about the small Phillips head screws you'll be fighting soon. There's a Paypal shopping cart on the order page, but you don't have to use it. If you want to pay via regular mail, that's fine -- check or MO works. Just add up what you want and email me for my mailing address. Fourteen bucks. Enough for all four carbs. CHEAP shipping in the U.S., REASONABLE shipping to anywhere else (just about). If you own a bike of this era, either you have an immediate need for this kit, or you will. I needed one single intake needle valve seat O-ring, to fix a serious fuel leak on a GS-850. Nothing available locally would fit quite right, so I had to buy a complete carb rebuild kit at $25 + shipping, just to get the stupid little O-ring. I wanted to completely disassemble and solvent-dip the carbs, but I cringed at the idea of disturbing those ancient, brittle, crumbling O-rings. I just knew they'd leak like a sieve, so I put up with an engine that had more flat spots than the state of Arizona. I needed a source for the O-rings. 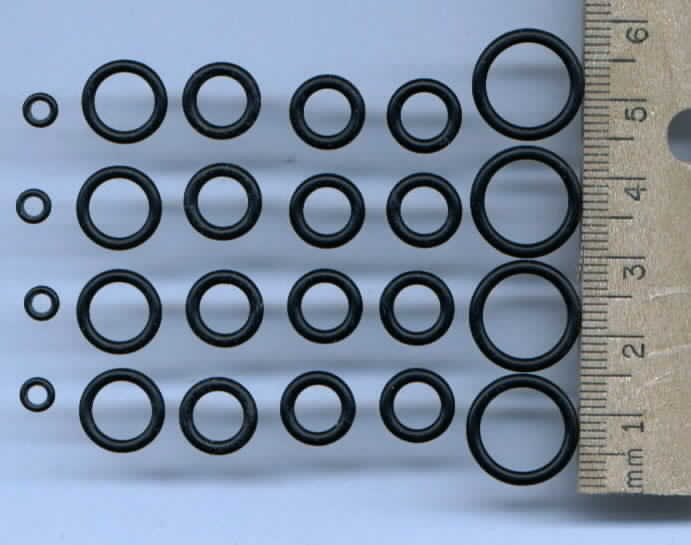 Even at $25 each, the repair kits provide only two of the O-ring sizes needed. To do all 4 carbs I'd need three more f*&%! kits ($75 + s/h!) and some luck & mercy from the dealership obtaining the other two sizes. Madness. I don't begrudge anyone a decent profit, but I hate being gouged, so I searched for sources for a reasonable quantity of these O-rings at a reasonable price. Close; I had to settle for an unreasonable quantity, at a reasonable price. 4 for the starter (choke) plunger retaining fittings. (Usually the choke O-ring is OK; I include it to be thorough). Material = Nitrile (Buna-N), 70 Durometer. This is the ideal material for this application. An important aspect of these O-rings is that they are of recent manufacture (cure), so they're new and supple; they haven't been sitting for twelve years getting hard and brittle. This exact kit has been installed on about a zillion bikes by now. The rebuild procedure is really pretty simple, and is superbly detailed by John Bloemer on the GS Resources web site. The first 'guinea pig' for these O-rings was my own GS850, which now runs beautifully & idles like a watch. The chore is finding the damned O-rings. Outside of the U.S.? Contact me. I've shipped to Europe, Africa, Australia and South America with no trouble. Your total cost is $16 US. These fit the CV-style carbs only -- 1980 and later. If you have the older slide-type (VM) carbs, see the VM page. 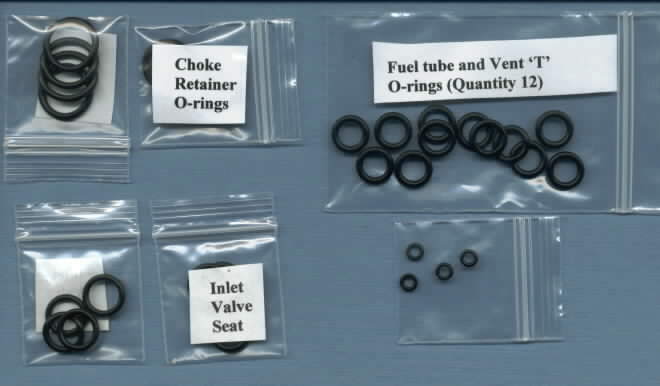 Also note that the kit doesn't include gaskets or anything else -- just the O-rings. Lots of 'em. Here's the little guys, next to a common match. The kit is more organized than it looks here, with every size identified. 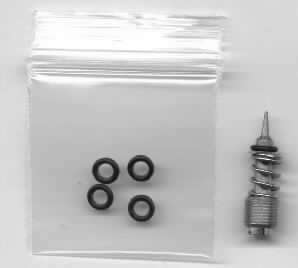 Some bikes use O-rings on the fuel bowl drain screws. Not many, but some do. Check yours now. If you need them, leave me a message in the checkout section. They aren't included automatically -- if ya need 'em, you have to ask for 'em. LIMIT ONE FREE SET PER KIT. To order this kit, go HERE:. Before you do anything rash, though, you should look over page 3 (Intake stuff).